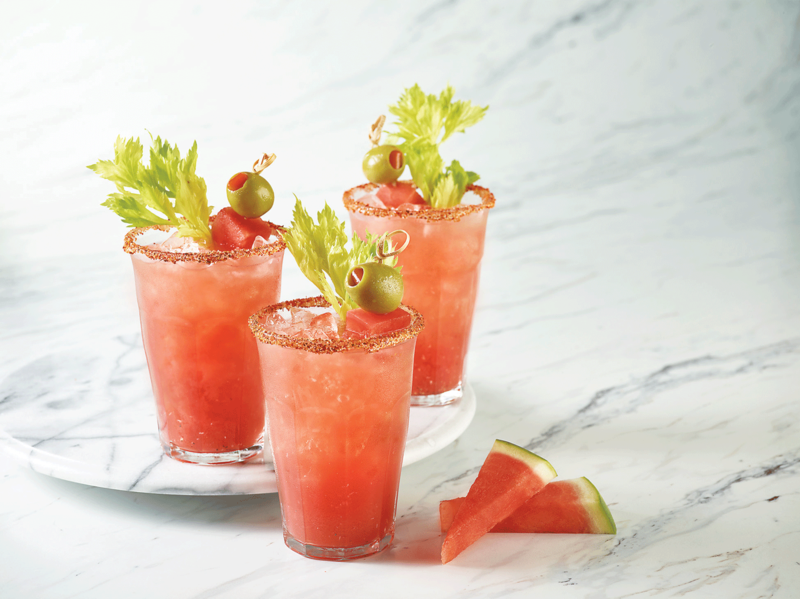 With watermelon balancing out the jalapeño, it’s an ideal balance of spicy and sweet with just the right amount of kick. Find more brunch recipes at watermelon.org. In blender, blend watermelon cubes and jalapeño pepper until completely smooth. Pour mixture through fine sieve set over pitcher. Add garnishes, as desired, by skewering watermelon wedges, prosciutto, cucumber, jalapeño and green olives. Place garnishes in glasses and serve.